If your family is looking for a great fun for the long weekend, why not bring your kids to the relaunched Sydney Aquarium. Sydney Aquarium has rebranded as Sea Life Sydney Aquarium after a $10m investment from the Merlin Entertainments Group. 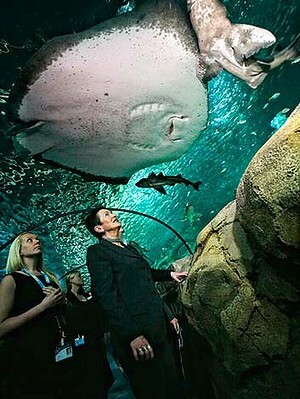 The brand new Sydney Aquarium can now come face-to-fin with the world's largest variety of sharks and rays. With more than 70 exhibits of 700 species and 13,000 animals in 8 million litres of water, it is one of the world's largest aquariums.SEA LIFE Sydney Aquarium is also home to Australia's best-known marine animals, including the platypus, little penguins and dugongs.More than 300 animals were moved to temporary homes during the refurbishment. There are 14 newly themed areas, including the Tropical Bay of Rays, Discovery Rockpool, Mangrove Swamps, South Coast Shipwreck, Dugong Island and the new Shark Walk.Shark Valley is dominated by a 20-metre blue whale skeleton among the ruins of an ancient Lost City temple. What make event better is that you can now enjoy save up to 30% off standard walk-up prices for single visit tickets and make HUGE savings with combo passes! If you are the exiting annual pass holders, you are entitled to save over 50% off the renew memership price. Sea Life Sydney Aquarium at http://www.sydneyaquarium.com.au/tickets/ . As part of the adoption project, you can adopt an Animal at SEA LIFE Sydney Aquarium and help save Australia's threatened species and habitats. 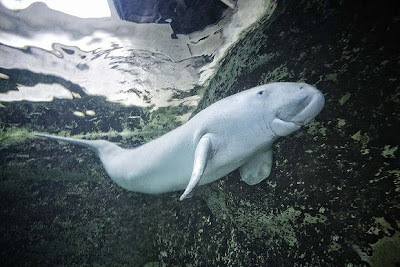 Your donation of just $50 in support of the Sydney Aquarium Conservation Fund* (SACF) will be used to fund projects which protect and restore the population of threatened marine and freshwater species and their habitats. Visit this link to find out more : http://www.sydneyaquarium.com.au/protect/adopt-an-animal/. Channel E wish you have a beautiful and enjoyable holiday. See you next time.